Tristan Scroggins (tristanscroggins.com) is a bluegrass mandolin player who embodies the paradoxical relationship between progressive and traditional in bluegrass music. 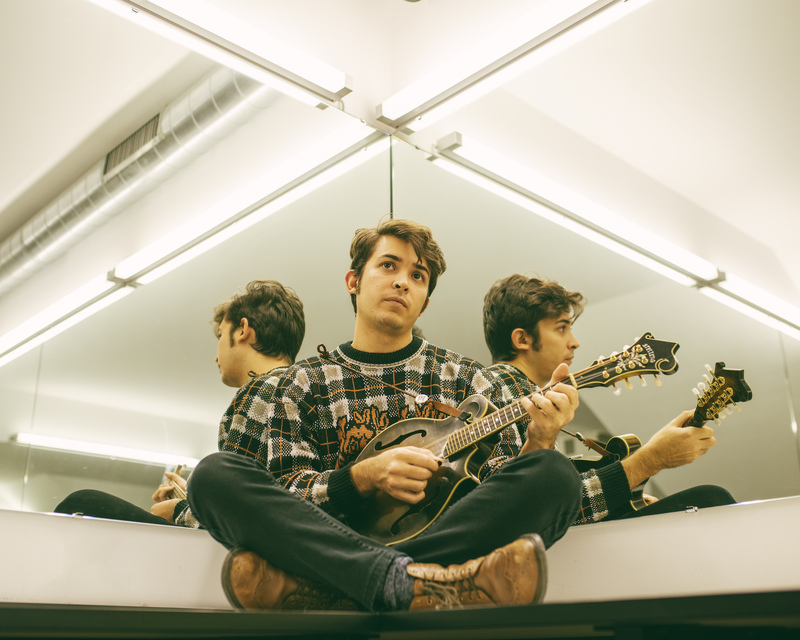 A second-generation performer, Scroggins learned from his father and two-time National Banjo Champion, Jeff Scroggins. In a short time, Scroggins drew attention to himself after winning multiple state-championships at a young age but quickly distinguished himself as more than just another young phenom after forming Jeff Scroggins & Colorado with his dad at age 14. Quickly, Scroggins established himself as a dynamic musician, talented performer, and dedicated teacher as the band began to tour. Now, for the past nine years, Scroggins has performed all over the world headlining festivals in the U.S., France, Germany, Sweden, The Netherlands, Ireland, England, Australia, and Canada Jeff Scroggins & Colorado who in 2018 were nominated for the International Bluegrass Music Association's Emerging Artist of the Year Award. Scroggins himself was recognized by the International Bluegrass Music Association in 2017 when he was awarded their prestigious Momentum Award for Instrumentalist of the Year. In addition, Scroggins is a prolific composer and in 2018 was awarded 3rd place in the Mike Auldridge Instrumental composition Competition as well as being a finalist in the International Acoustic Music Awards Instrumental Song of the Year awards. Tristan's deep understanding and wish to honor the traditions of bluegrass music can be seen in his interpretive history writing for Peghead Nation and heard in his music. This understanding is used to work within a traditional context to create personally expressive music, a talent that was fostered by his acceptance into the Acoustic Music Seminar run by Mike Marshall as part of the Savannah Music Festival in 2017. Tristan currently lives in Nashville, TN.